All MA, MSc and LL.M programs as mentioned on the website Master’s programs in Leiden. Please note that some programs have a start date in September only. The LExS is only valid for the period the student is registered at Leiden University as a full time student within the time frame of the study program. · Non-EU/EEA students enrolling in a Leiden University master’s degree program starting September 2017 or February 2018. · In his or her prior academic education abroad, the applicant must have achieved excellent study results which are relevant for the program for which the student wishes to enroll. As an indication, the student will be among the top 10% for the relevant program followed abroad. · The applicant will hold a non-EU/EEA passport and will not be eligible for support under the Dutch system of study grants and loans. 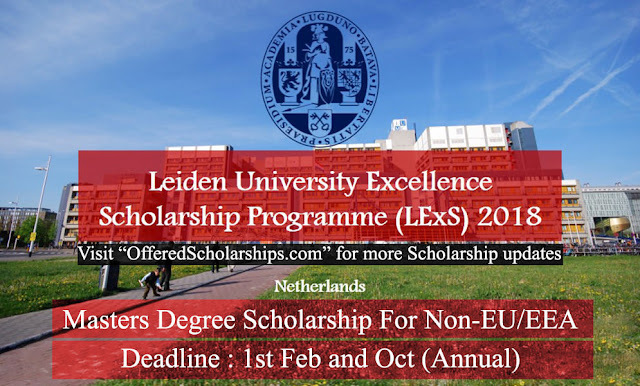 · Scholarships will not be awarded to applicants who have already obtained a Leiden University master’s degree with the exception of students applying for a Master program for which a specified previous Master program or work experience is mandatory (the LLM advanced masters qualify as such). 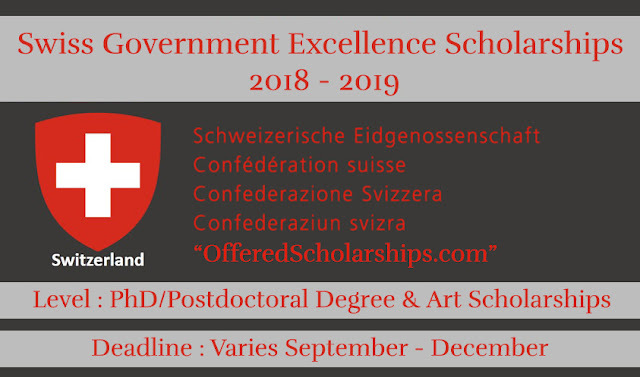 · Students who are granted a Leiden Excellence Scholarship must comply with and confirm in writing their agreement with the Rules and Regulations attached to the scholarship prior to the granting of the scholarship. You must first apply for admissions to Leiden University online. In your application, you must indicate clearly that you would like to apply for the LExS scholarship and upload your letter of motivation for the LExS scholarship on the scholarship page. For all programs starting in September 2018, the deadline has 1 February 2018 (except for Law programs which has the deadline of 1 March 2017). For programs starting in February 2019, the deadline is 1 October 2018.